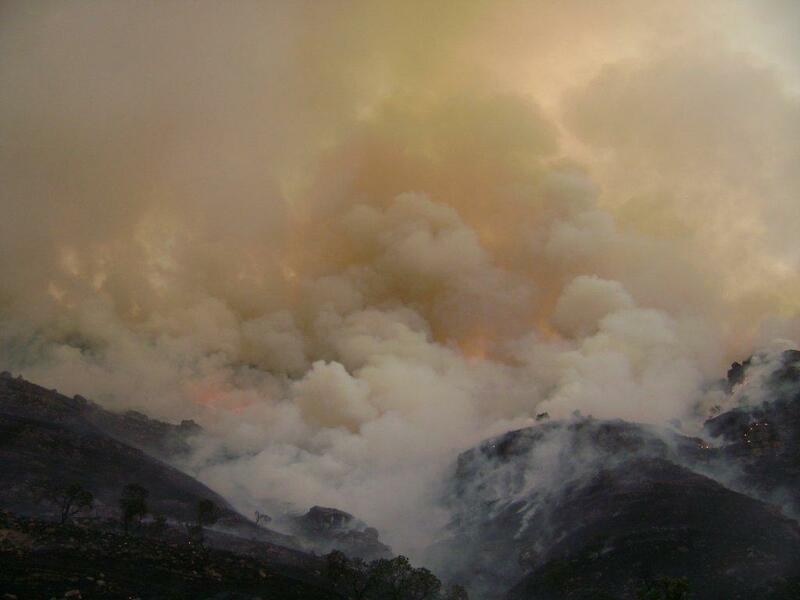 Last updated by Marcia Mayne at March 16, 2013 . 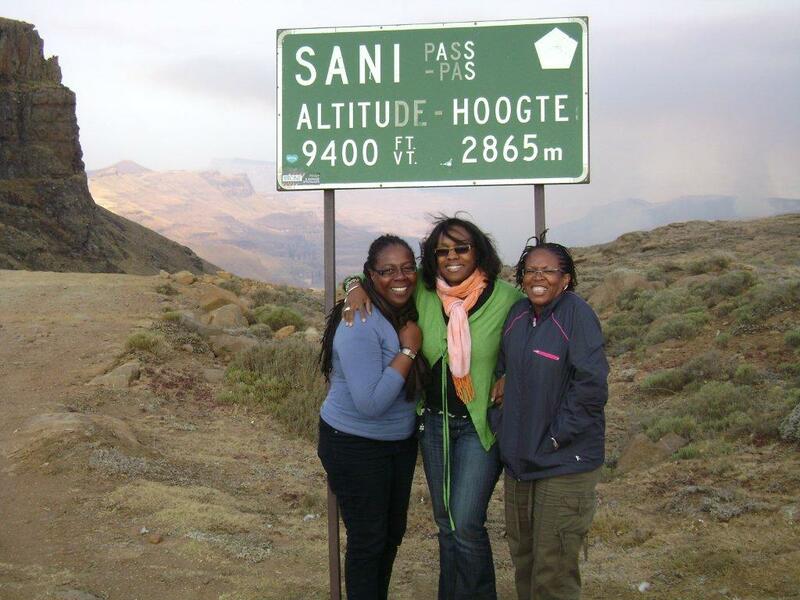 Sani Pass: Would That be a 4-Wheel Drive or Donkey? 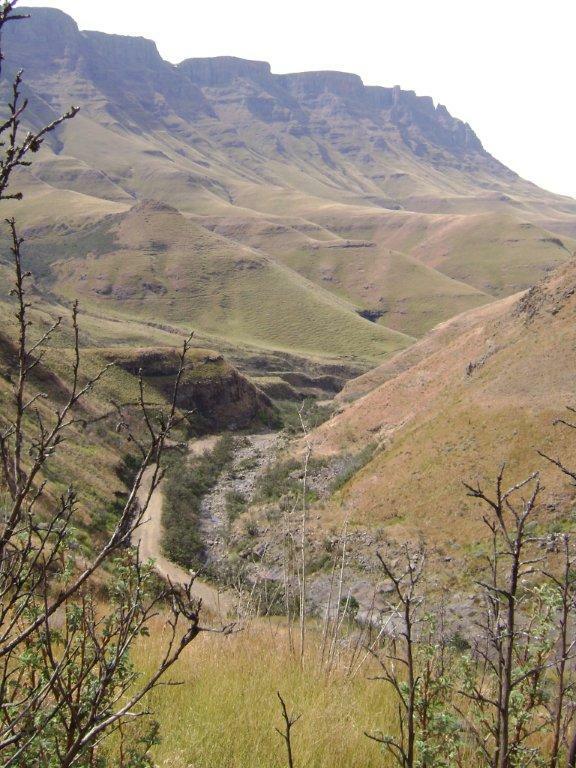 When I spoke with Kieron Audain, the student and author who contacted me from Durban, he asked if we’d be visiting the Drakensberg. I had no idea what he was talking about. All we had been thinking about for Durban was a visit to Shakaland, a tour of the city and Umhlanga Rocks, and finding some good Indian restaurants. 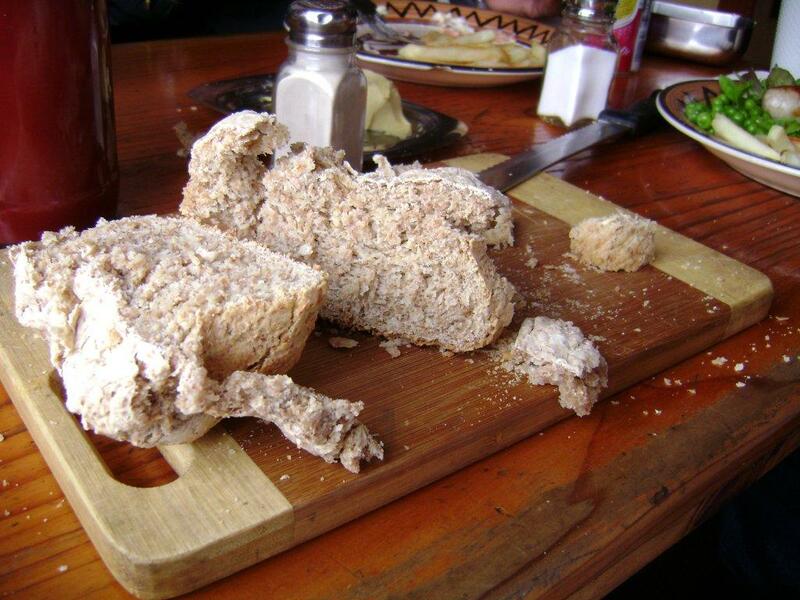 It was going to be a leisurely two days. But when I Googled it, I knew we’d have to go. 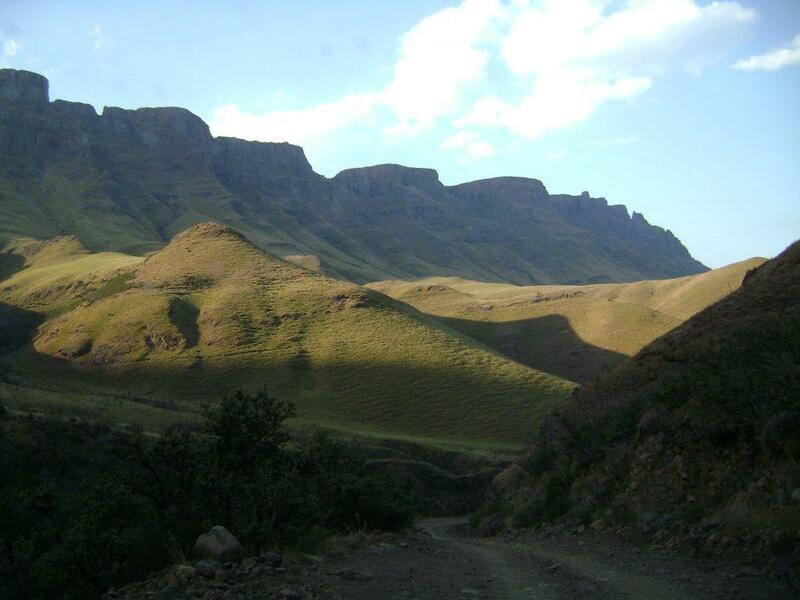 At more than 11,000 ft., the Drakensberg Mountains is the highest range in Southern Africa. 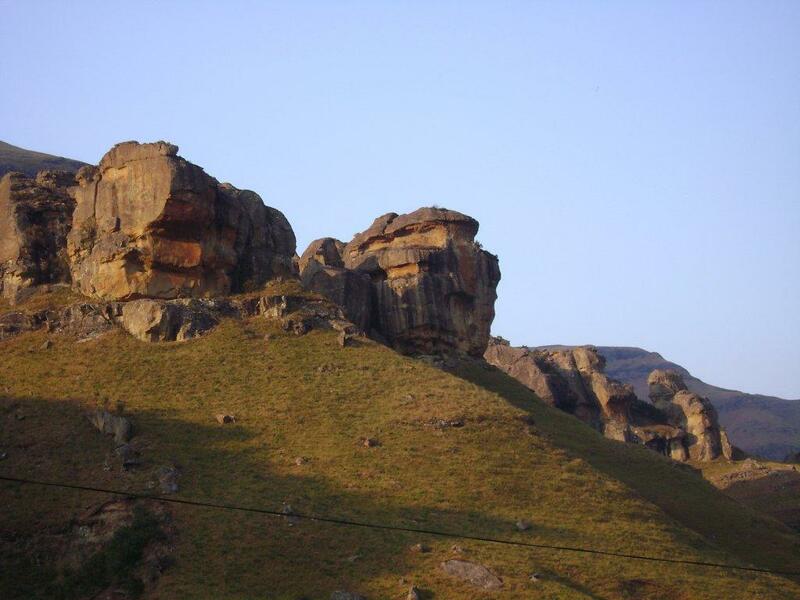 It is also home to Tugela Falls, the second highest waterfall in the world and the location where several hundred rock paintings done by the Bushmen, the indigenous people of Southern Africa, can be seen. 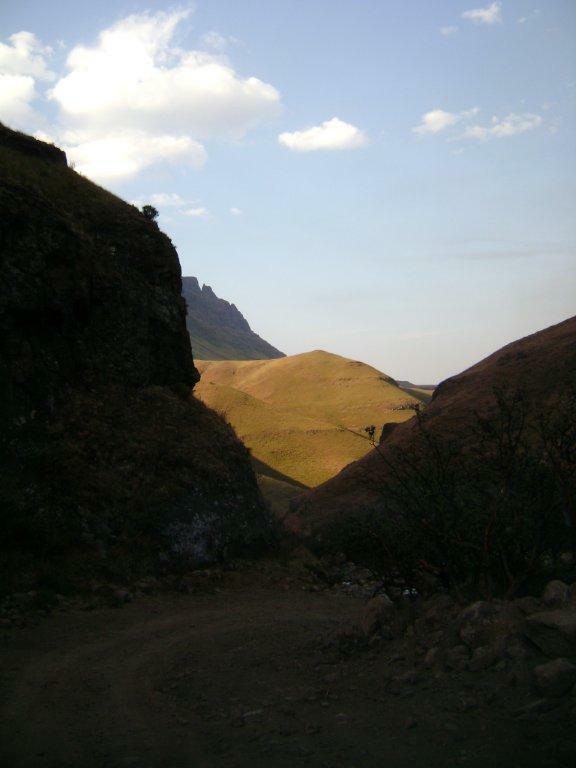 I was even more excited when I saw the Sani Pass, the dirt road that zigzags 9,400 feet up the Drakensberg Mountain and connects the Kingdom of Lesotho to the province of KwaZulu Natal. 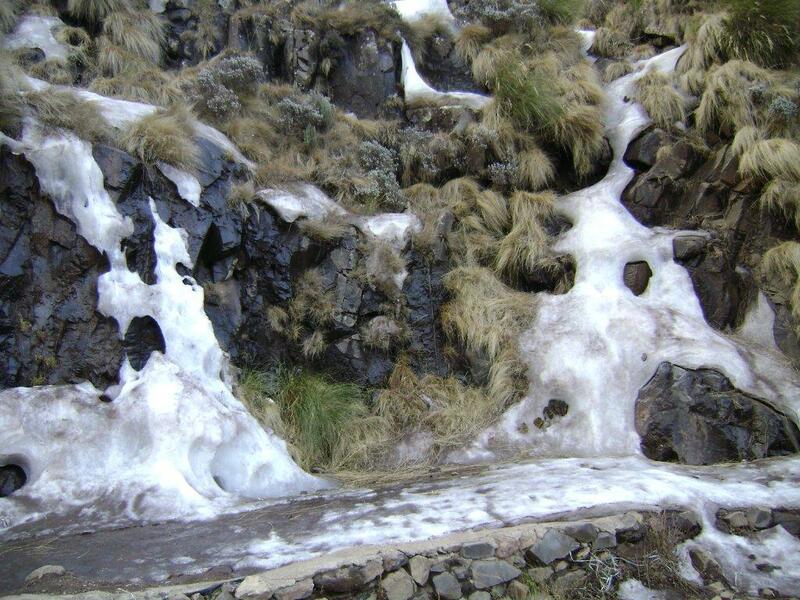 We wanted to do all three: visit Tugela Falls, see the Bushman’s paintings and venture up the Sani Pass but dropped Tugela Falls when we realized we’d have to climb a chain ladder to get to parts of it. In addition, there really wouldn’t be enough time. 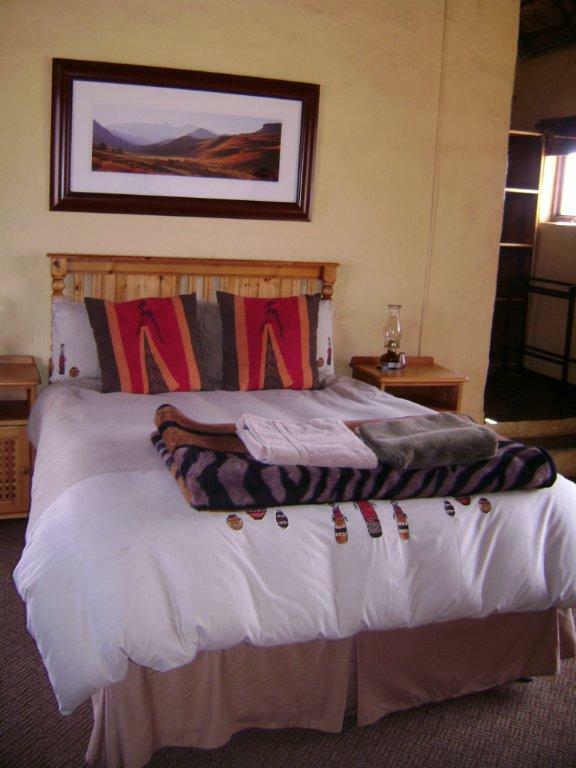 So following our visit to Shakaland and our overnight stay in Ballito, we checked in to the Sani Pass Hotel located at the foot of the Drakensberg Mountains just before lunch to begin our drive up the Pass. 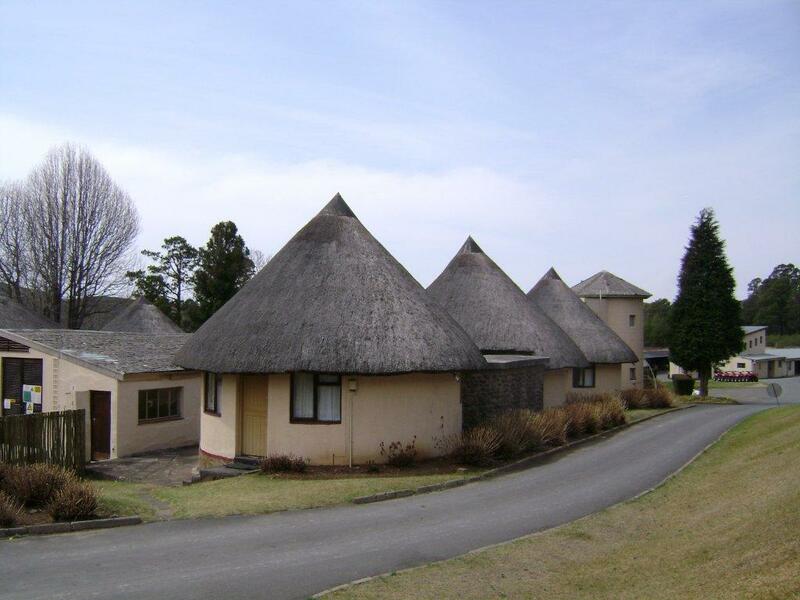 I just love these thatched roofs. 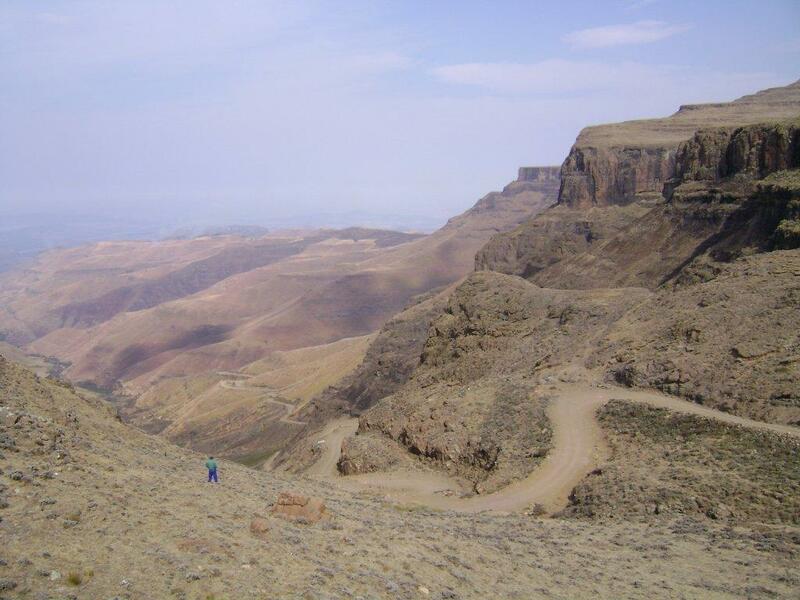 After checking in, we began the climb up the rugged Sani Pass, a kind of no-man’s land between the South African and Lesotho border control posts. 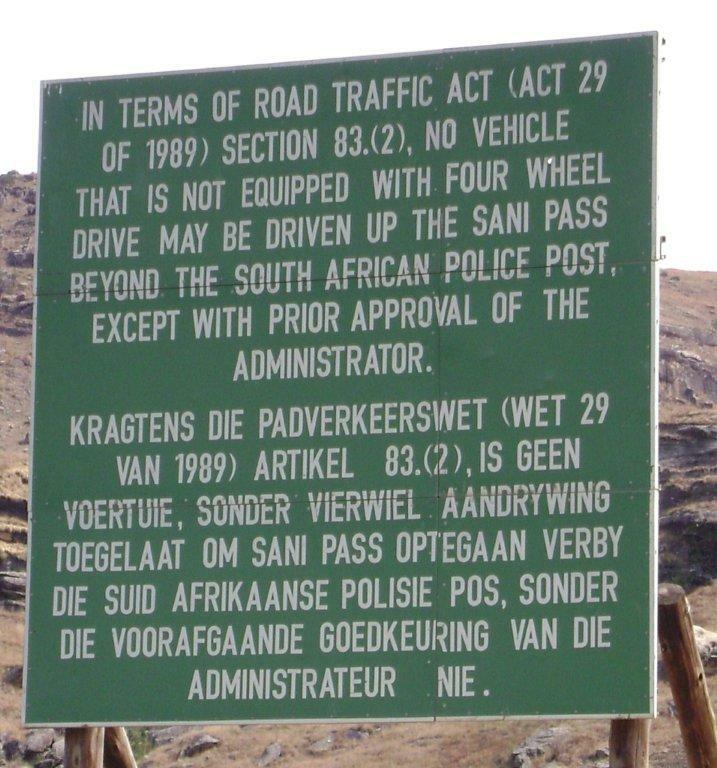 The nearly 14 mile road up the Sani Pass is so dangerous, only 4-wheel drive vehicles (or 4-legged animals) are allowed. But the views are spectacular. 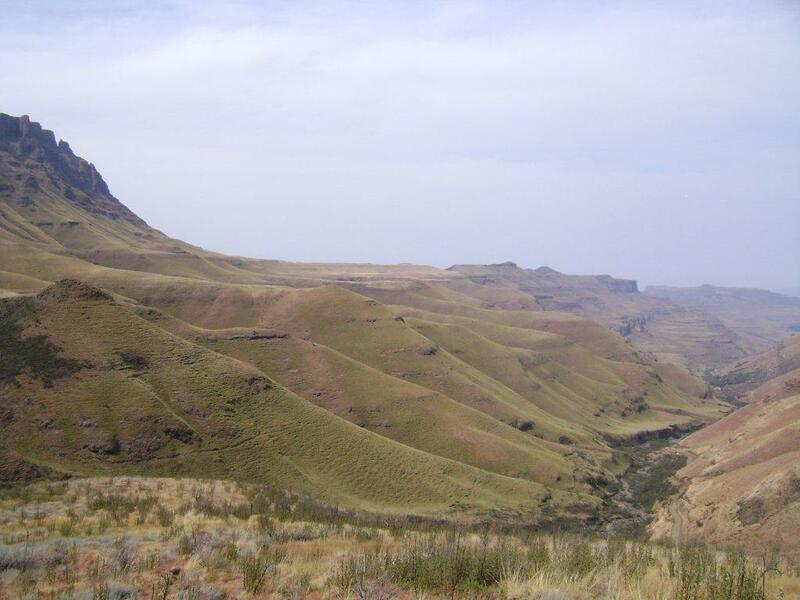 In the early 1800s, King Moshoeshoe and his followers settled in this remote area to form what is now the Kingdom of Lesotho rather than being co-opted by King Shaka Zulu. There’s no way to drive straight up. The best way to climb the mountain. 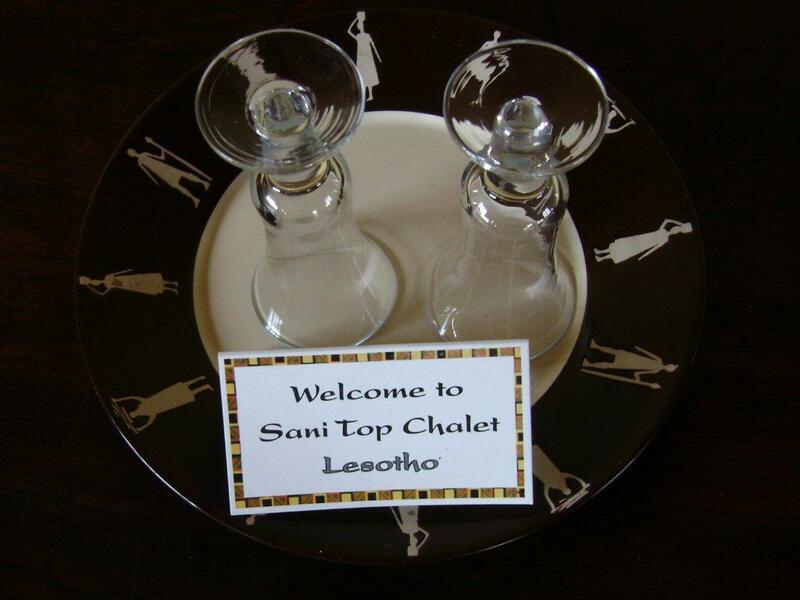 While we waited for lunch, we visited the Sani Top Chalet. 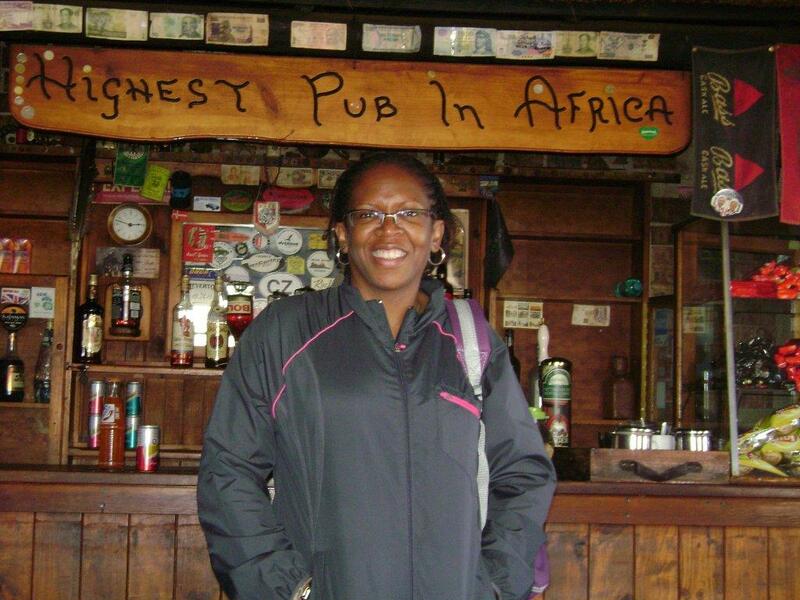 Yes, we actually travelled 9,400 feet up the Drakensberg Mountain to have lunch at the Highest Pub in Africa. 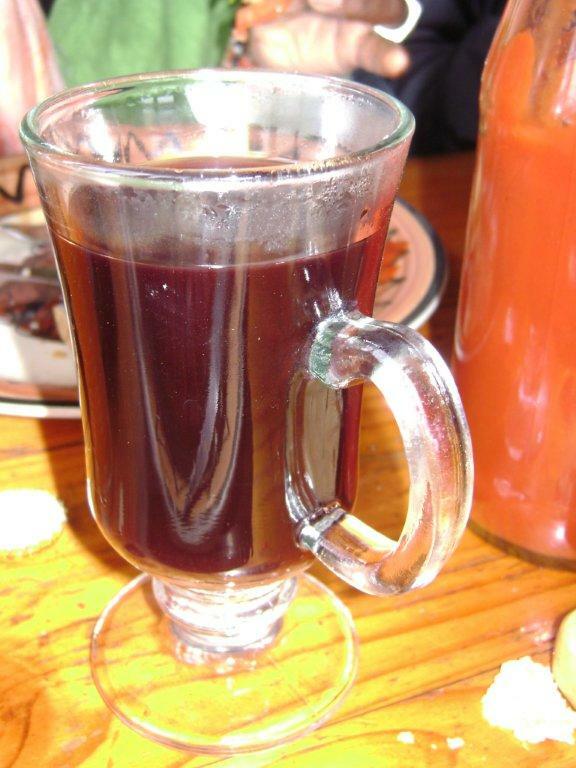 I had heard so much about gluhwein, the wine, rum and sugar mixture served warm at the pub, I had to try it. 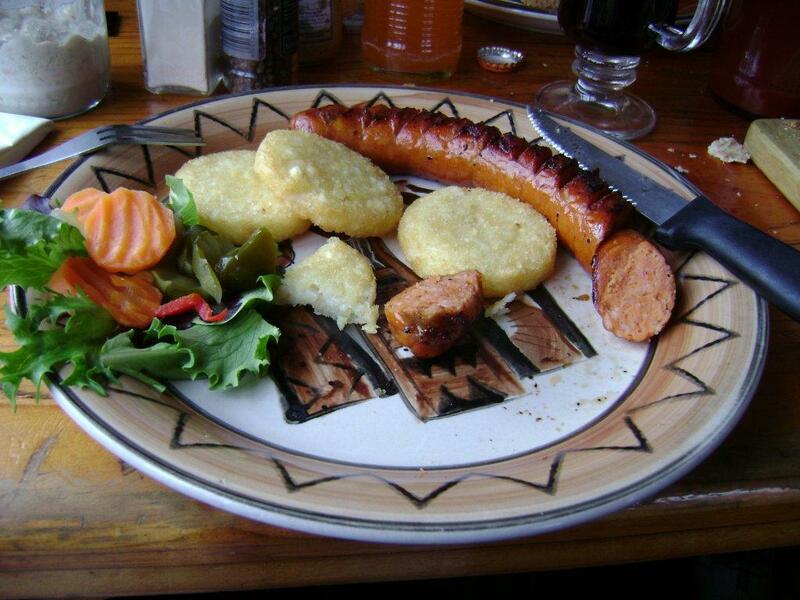 I guess it’s better on a really cold day. 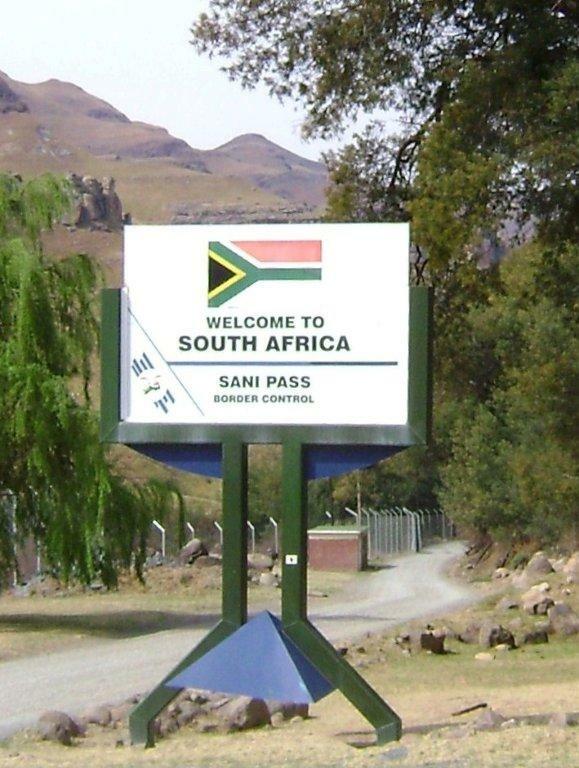 Since the Sani Pass route is so dangerous and is unlit, it is closed at 4:00 p.m. daily. Shortly after lunch, we began the drive back down. 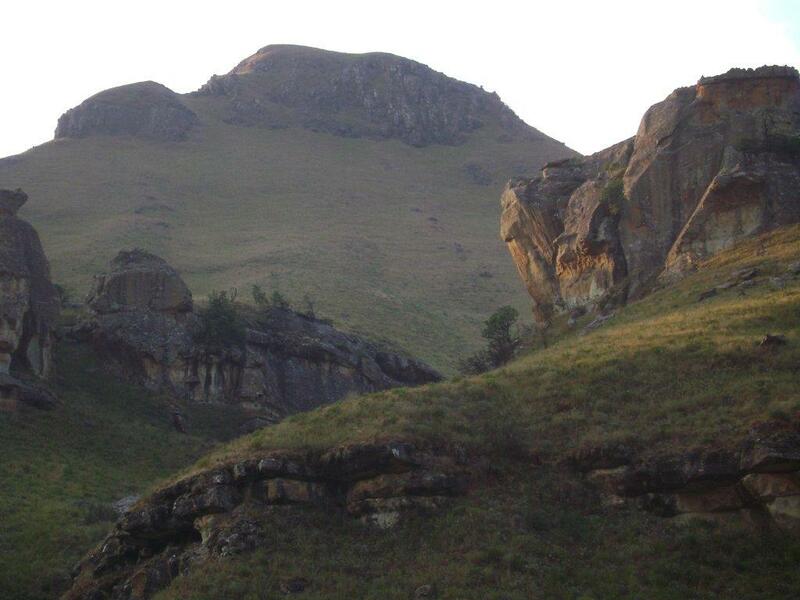 Under the setting sun, the mountain is breathtakingly beautiful. 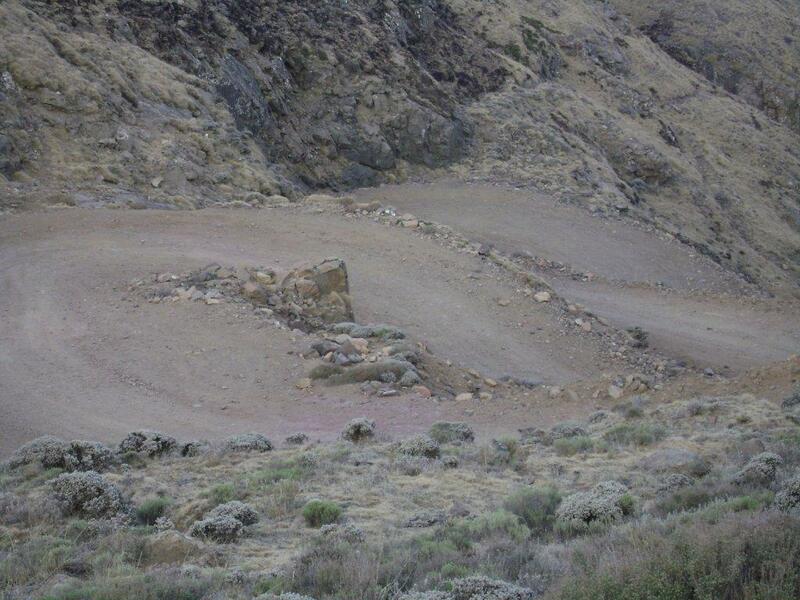 During winter, the vegetation becomes brown and dry. 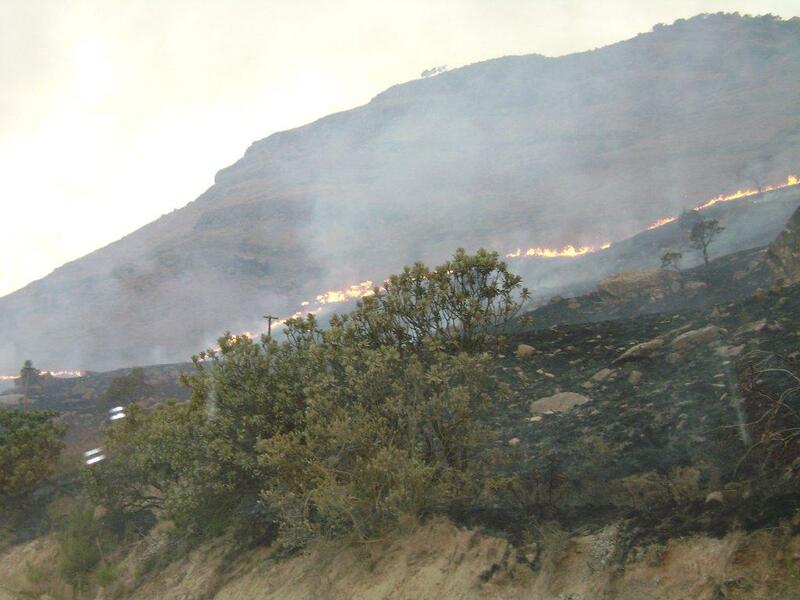 Burning off the dry grass to promote new growth. 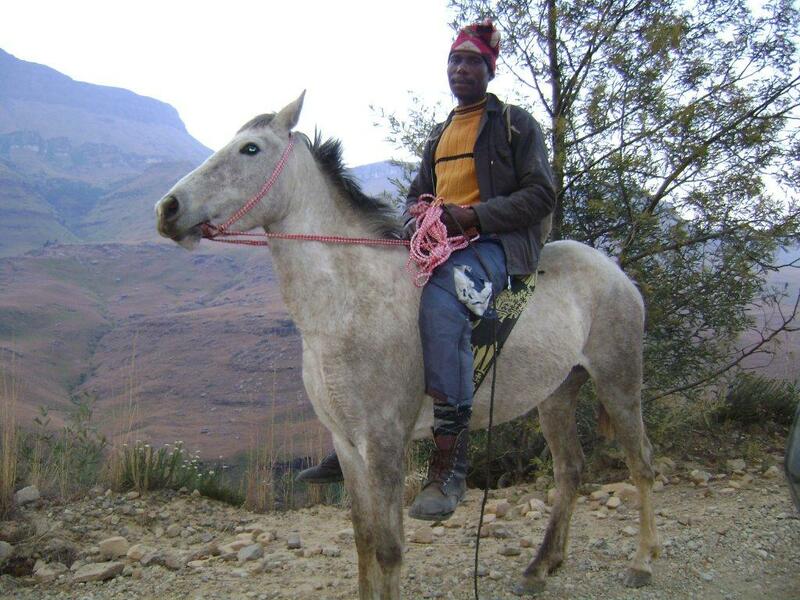 Before we arrived at the South African border control, we ran into a few people climbing the mountain on horses and donkeys. 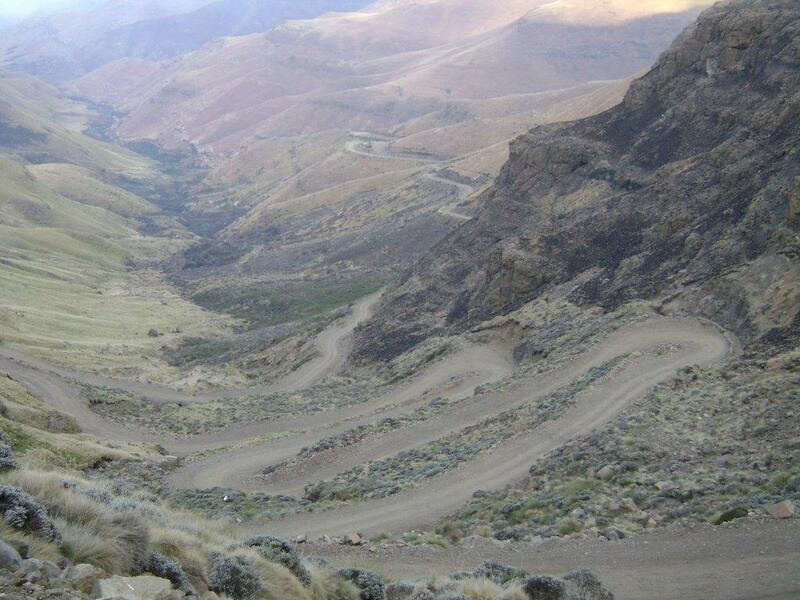 Before the road was cut, this was the only way up the Pass. 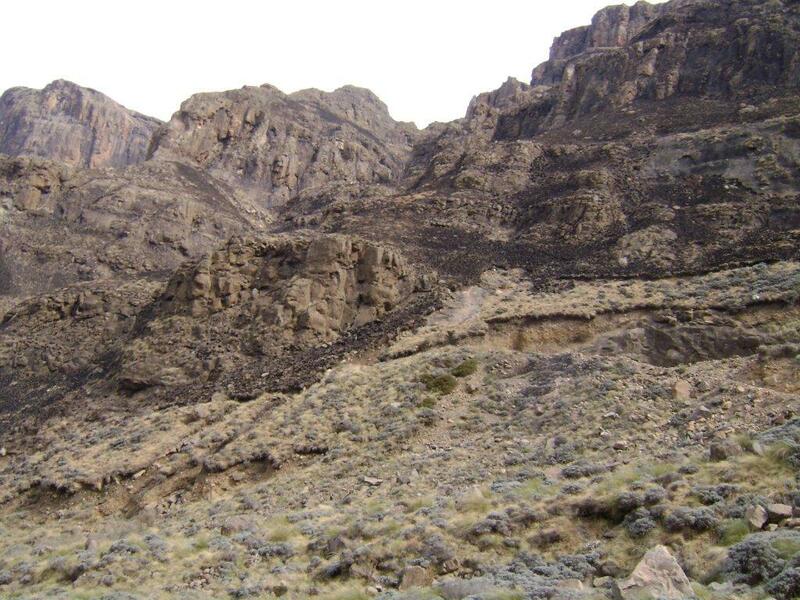 Residents would travel down to Good Hope, a now defunct trading post at the foot of the mountain, to trade blankets for supplies. Like this post? Subscribe and share.